There’s been a bit of a brouhaha for a couple of weeks now, right after the Newbery award winner apparently gave nonfiction a little dig during her acceptance speech. Opinions have been flying all over the internet and Colleen Mondor of Chasing Ray suggested that, if we so desired, we should post our thoughts this week. I couldn't resist. Nonfiction is clearly not given the attention it deserves. That's why I created this blog. In terms of public promotion, it's given the nosebleed seats in libraries and the big chain bookstores. On the publishing side, it can be frustratingly difficult to find an agent or editor who is both interested and knowledgeable about nonfiction. But truly, these are side issues. As writers for children, the most important question ought to be, “Do kids like nonfiction?” The answer is an unequivocal “Yes.” How do I know? As an ace nonfiction writer, I’ve done my research. And as any of us can tell you, the best thing source for information is head straight to a primary source. My information comes from the best source available—kids themselves. I spent part of this year as a substitute teacher in public elementary schools. I asked kids a lot of questions about what they read, observed as much as I could and, of course, took lots of notes. I'm confident my information is reliable and, oftentimes, amusingly quotable. Yes, kids are reading nonfiction. I’ve seen them. They choose to read it in their classrooms and they choose to take it out of their school libraries. I've heard them talking about what they like to read and while everyone loves Harry, a majority also enjoy nonfiction. When I asked one third grade class how many of them liked nonfiction one girl said, “Wait, is biography nonfiction?” I reassured her it was and many more hands shot up. This speaks to the awkwardness of the word "nonfiction", something we've discussed here before, an additional unnecessary negative on our side. There are still many painfully boring nonfiction books in schools. This, as they say in the trade, is a fact. I was asked to read a book on dirt to a group of first graders which had all the creativity of a technical manual. I had to threaten to read more of a incredibly boring book on weather to the fourth grade class if they couldn’t keep quiet during our fun activity. Now, I know from personal experience there are many interesting books on nature, weather, and the environment that could captivate children and give them a solid understanding. But this is not the kind of book the teacher left to read to their class. And, as I snooped around a bit, these were not the kind of books that were easy to find an average class library. The over abundance of somewhat standard(ie boring)book club educational market type books in the classroom is yet another topic. Kids think they are supposed to like everything, no matter the quality. When I was asked to read a biography on Thomas Alva Edison that started, “Thomas was born on (date) to his mother (first name) and father (first name). I mentioned I thought that was a really boring way to start. They were quite taken aback by my statement but then readily agreed. For the rest of the day, two girls kept coming over to me with creative ideas on how Edison’s story could have been told with more pizzazz. 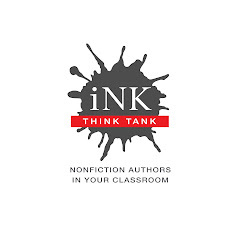 The opportunity for kids to read nonfiction in the classroom is more limited than fiction. Kids were generally allowed to select from certain bins divided into reading levels for their scheduled reading time. There were far more fiction than nonfiction books in said bins. Kids love to learn about things that really happened. They are constantly asking “Is that real? Is that true? Did that really happen?” When you are reading nonfiction to them and you can answer with an unequivocal “yes” they are truly delighted. In the same vein, they can sniff out a phony. When a teacher left a book about dinosaurs for me to read as part of their nonfiction unit, it didn’t take the kids long to realize that the talking mouse pretty much killed the authenticity factor. Disney has not successfully confused any of them on this issue. Sometimes I would offer to read fictional books that I felt offered important information. I would always ask them why this story couldn’t be true. By the way, the answer to this question for THE SCRAMBLED STATES OF AMERICA by Laurie Keller is never that states can’t move but always that states don’t have eyeballs. Many of the nonfiction books kids would choose on their own are not well suited to quiet independent reading time. When I broke the rules (shhhh) and let the kids pick any book in the classroom for reading time, that’s when the nonfiction really broke out. Kids like to huddle together over the nonfiction books, pointing out photographs to each other and reading interesting facts out loud. Several times some one who had not uttered a word all day came over to me to share something they read they thought was interesting (aka "cool" or "awesome"). My overall conclusion? Kids love well-written, creative, thoughtful nonfiction. Now what do we do about the adults? HearHear!The most recent book checked out from the library is a book on giraffes and I know a boy who carried around a rather big book on airplanes for a whole week. I love this post! Kids LOVE nonfiction! During any nonfiction unit of study in reading workshop the kids are so excited about reading. Some of my own favorite children's books are nonfiction books. Well said! Parents and teachers know how important nonfiction is to kids, especially boys. Reluctant readers will usually pick up a NF book about a subject they like. Thanks for speaking for the rest of us NF authors. I might argue that Laura Amy Schlitz's book was non-fiction itself and that her comment was less "dig" than simply her stating a well-known fact. Lots of librarians simply don't like reading non-fiction and this is a fact that needs to change. That's what Laura was saying and what you are saying too, in a way. We are all on the same page. Writers at Work: A Reality Show? To Quote or Not to Quote--Invented Dialogue! A Rose By Another Other Name? Presenting Our Brand-New I.N.K. Brainchild! Coming Soon to a Theater Near You!! !